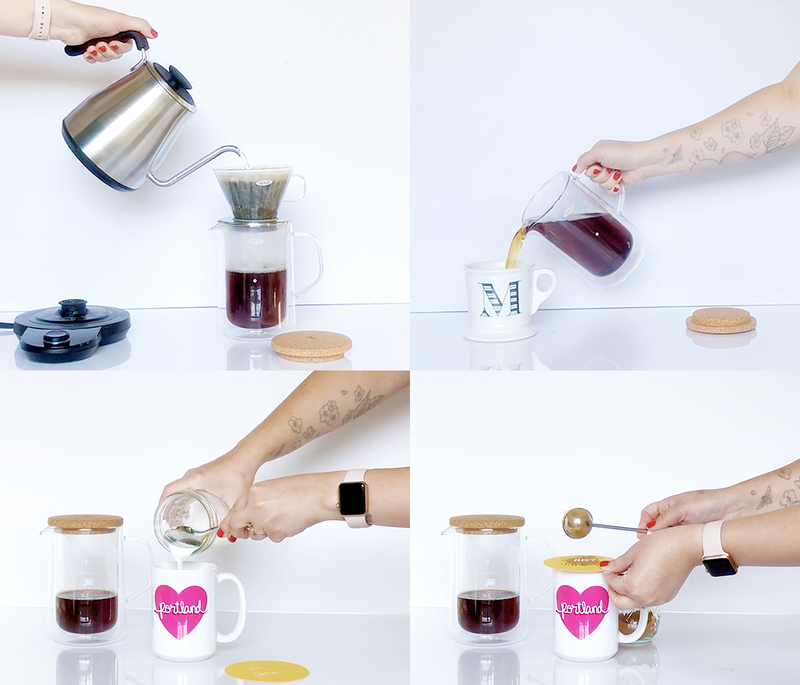 Disclosure: This is a sponsored post written by me on behalf of OXO Brew. All opinions are my own. Thank you for supporting the sponsors that make The Paper Mama site possible. My husband and I love our pour-over coffee each morning. It’s the best way to start our day. On the weekdays we are extremely busy getting kids ready for the day, so we drink straight black coffee. When the weekend hits we like to take the time to get more creative with our caffeinated sips by adding flavors and frothy milks. 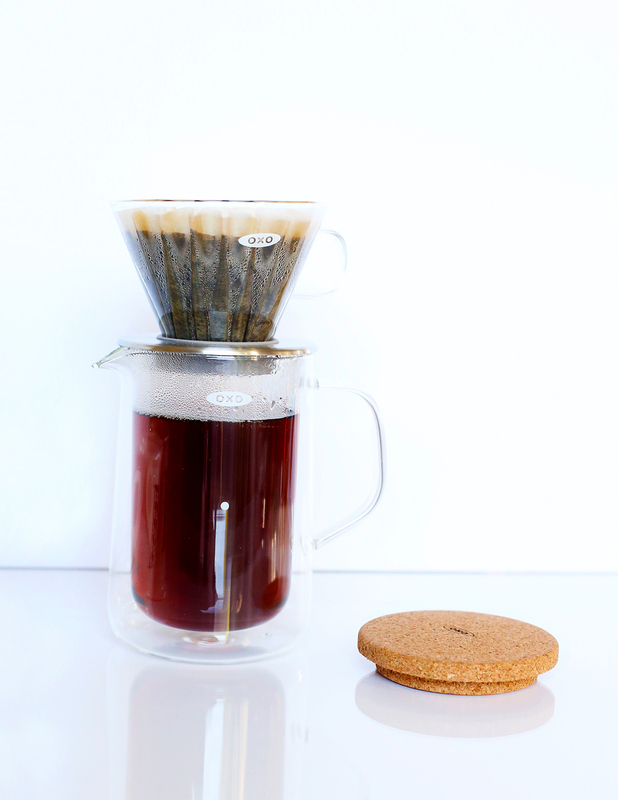 Our current favorite tools to craft the perfect coffee are the OXO Brew Adjustable Temperature Pour-Over Kettle and OXO Brew Glass Pour-Over Set. The kettle’s handle and body are optimized for effortless pouring and the precise-pour gooseneck spout provides ultimate control, which is great since you have to pour slowly a few times over 3 minutes. 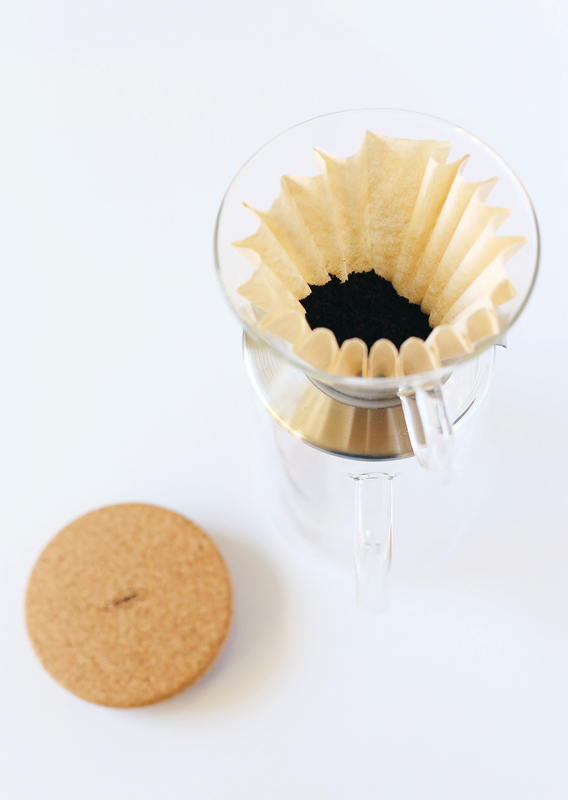 The pour-over coffee maker is hand-blown with a borosilicate glass dripper. It can brew directly into a mug or up to four servings into the glass pitcher. It’s a great way to make our coffee each morning. No matter how you like your brew, OXO has tools that simplify the brewing process and deliver both a better cup and a better experience. 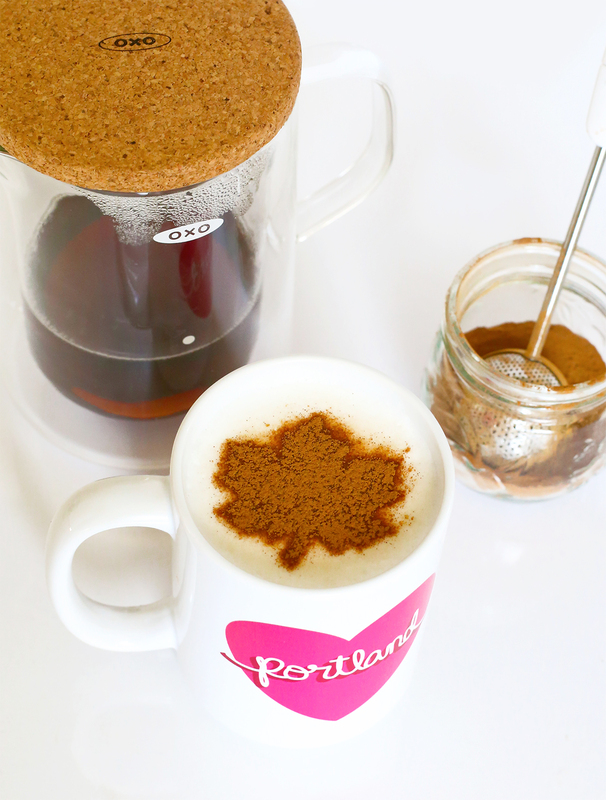 Today I’m sharing how to make a great cup of coffee with frothed milk and a cinnamon stencil. 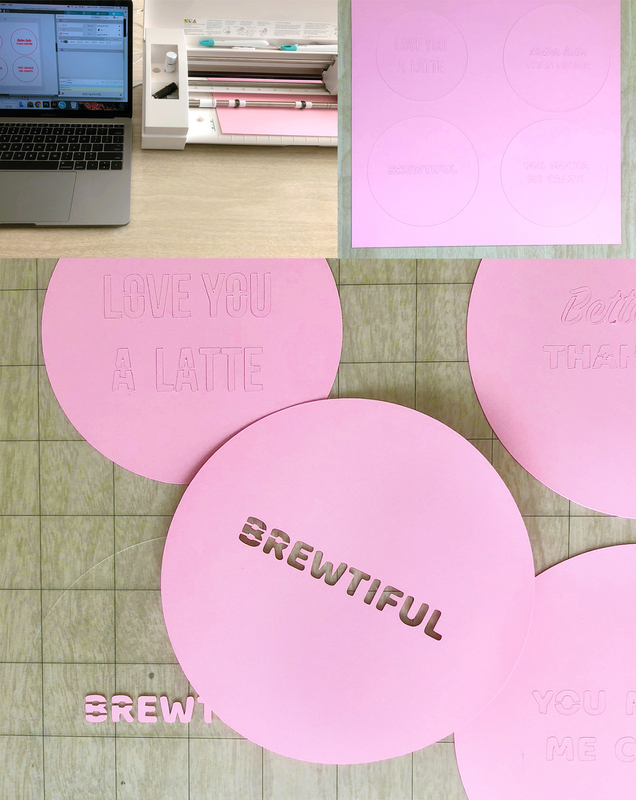 Below you will find a couple of free files to download and use to create your own coffee latte stencils. These stencils can be cut by hand or by machine. 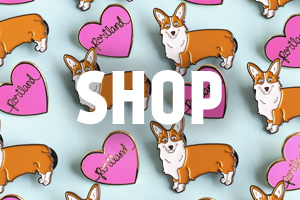 I really suggest cutting the more complicated images with an electronic cutting machine (unless you have some crazy talent with cutting out small designs by hand). Download the files I provided above. If you have a Silhouette machine you can cut some card stock with my files. If you want to try it by hand I’ve also provided some .jpeg images. You can also create your own images. Note: you can adjust the size of the files in your Silhouette program to fit your mugs. I suggest sizing the latte design to about 1/4” to 1/2” smaller than the diameter of your mug’s mouth. 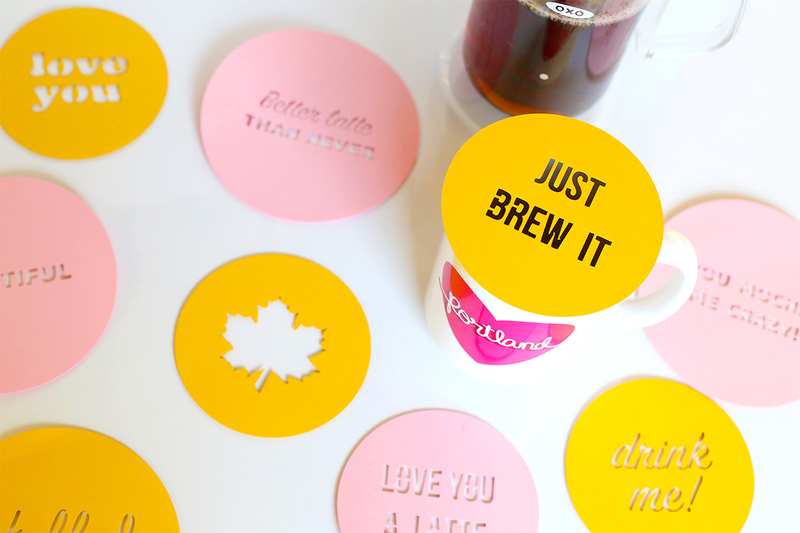 The circle of the stencil should be about a half inch larger than the diameter of the mouth of the mug. There are amazing tools you can use at home to froth milk for your latte, but my husband and I have a couple of methods we have been using for a while and I want to share them with you. Tips: The lower the fat in milk the better the bubbles. I used 1% for my froth. Smaller bubbles are better if you want to use a stencil. 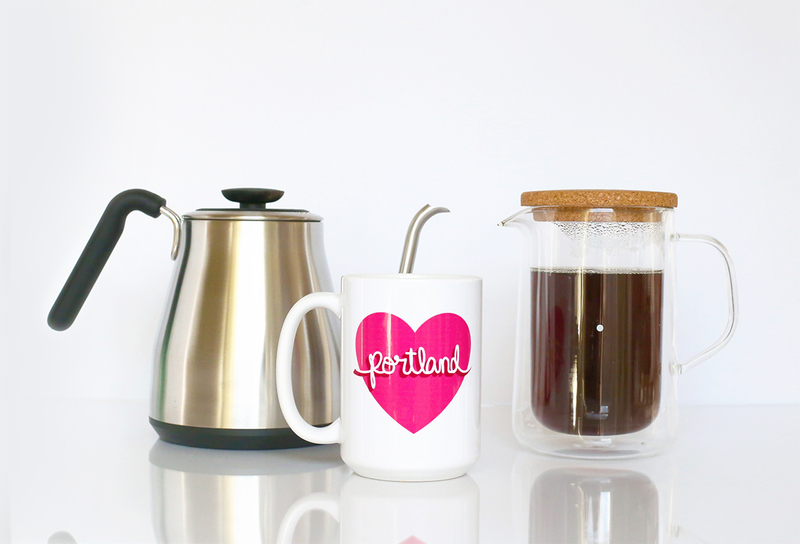 My favorite method is using the French press. Pour about a 1/2 cup of milk into a jar. Add the lid and shake for less than a minute. 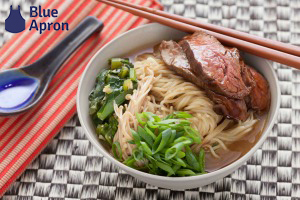 Remove the lid and heat the foam in the microwave until the foam has almost doubled in size (about 30 seconds). Fill your coffee mug to about 3/4 full. Pour the heated foam into your coffee. The foam should float at the top. Smooth with a spoon to make it easier to stencil. Pour about a cup of milk into the French press. Press the press pump up and down for about 30 to 60 seconds. Pour the milk into a microwave safe container and heat the foam until it has almost doubled in size (about 30 seconds). It’s so easy to use my stencils. 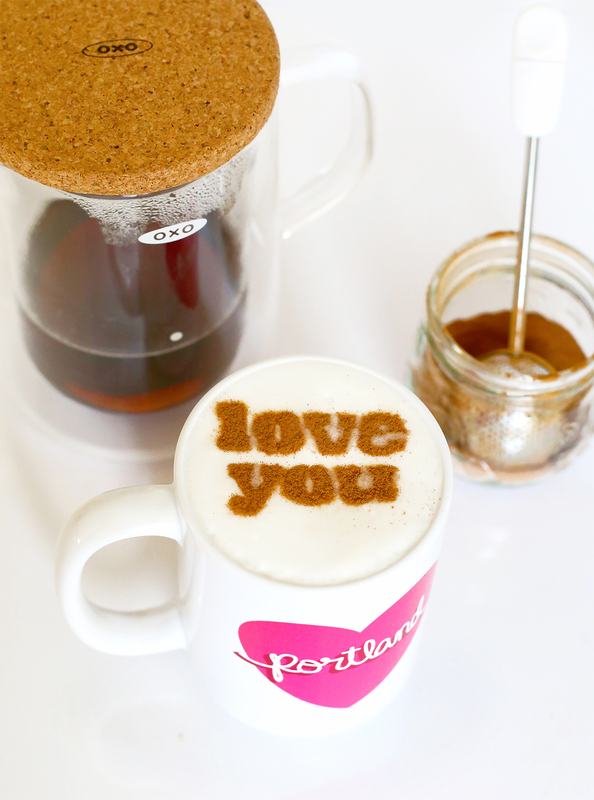 Use your OXO Baker’s Dusting Wand to sprinkle cinnamon (or cocoa) over your milk foam. Tip: To get a clearer image place the stencil close to the foam (without touching it). 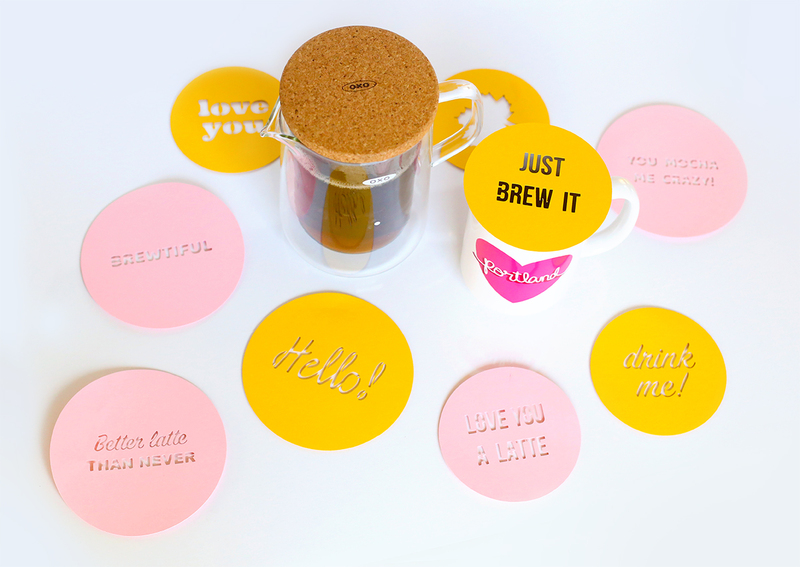 These stencils are not just for coffee! You can use your OXO Brew Adjustable Temp Pour-Over Kettle to heat up water for hot cocoa. 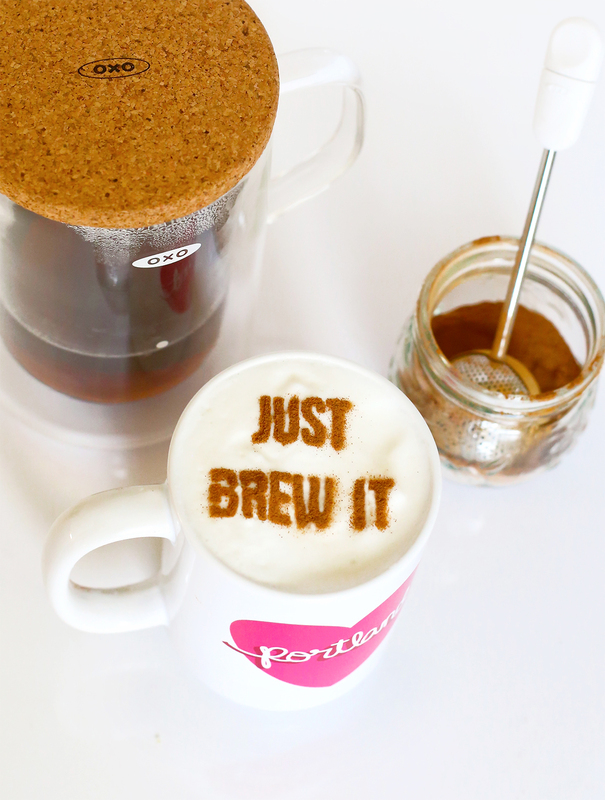 All you need to do is add your frothed milk and use a stencil to make a fun design for your kid. I think I might need to make a “Do your homework!! !” design for my oldest. Right? That’s it! 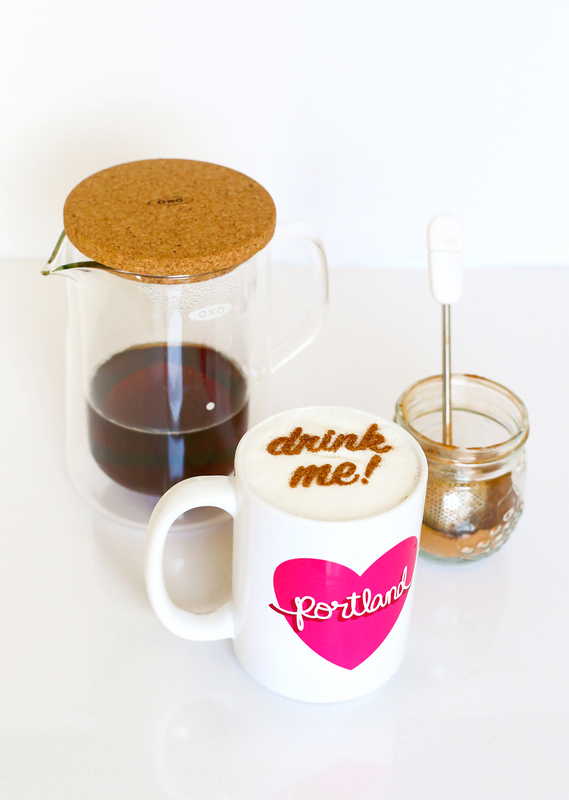 It’s so easy to get “fancy” with your at-home lattes and cocoa. 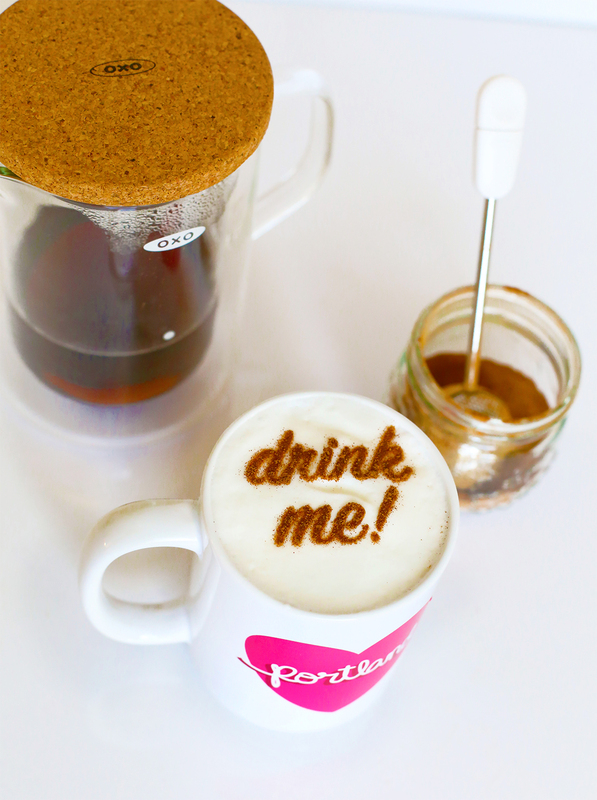 I swear it takes just a couple of extra minutes for the delicious frothy milk and dusted cinnamon. It’s so worth it. 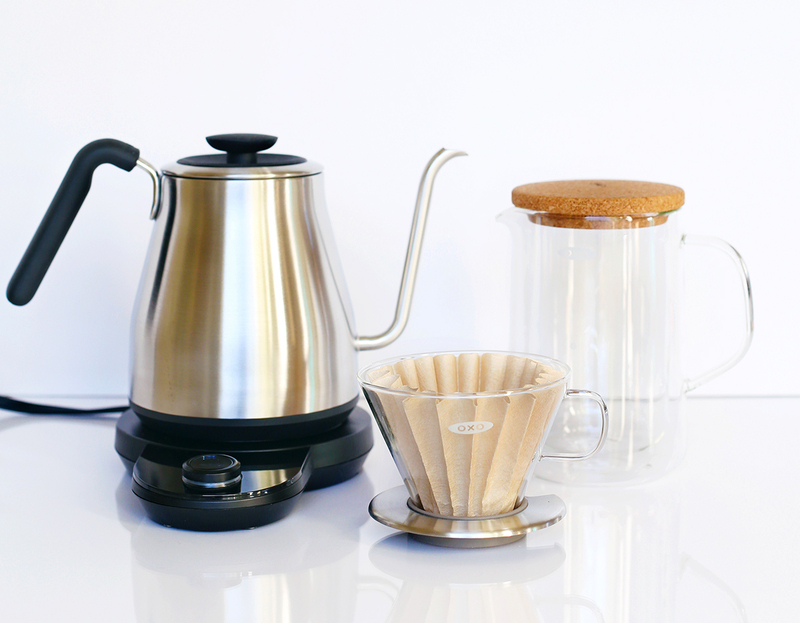 OXO Brew makes coffee and tea more accessible: to craft, to experience and to savor—every day. What gets you moving in the morning? It’s coffee for me. Disclosure: This is a sponsored post written by me on behalf of OXO. I may earn a small commission for my endorsement, recommendation, testimonial, and/or link to any products or services from this website. Thank you for your support. 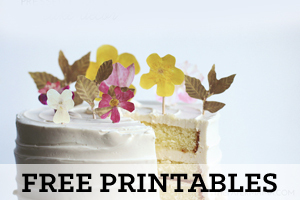 All images and printables on this site are for personal use only. 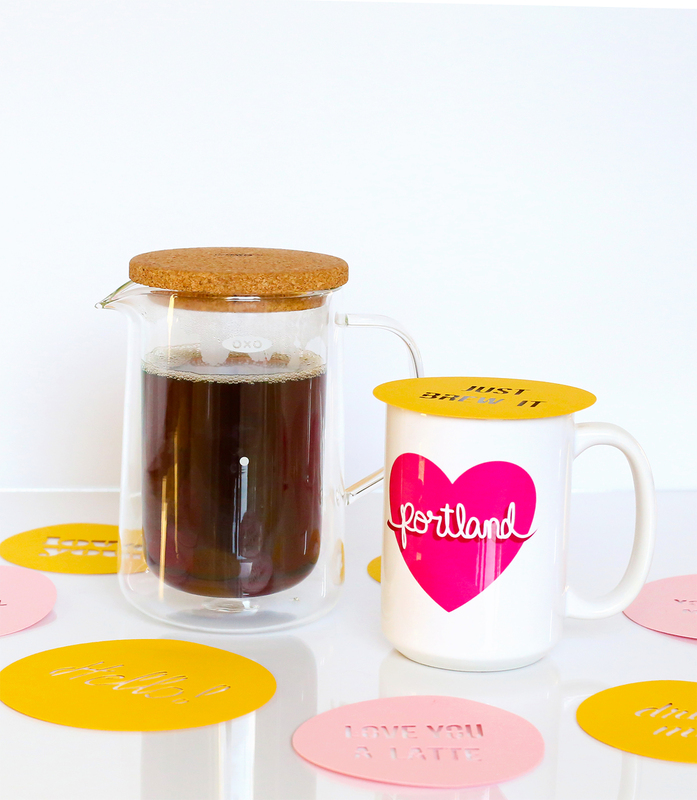 The Portland Heart coffee mug can be found in my shop.